Do you ever wake up with jaw soreness or tenderness? Have you noticed chipping and cracking on your front teeth? It could be caused by teeth grinding. Most people do not even realize they are grinding their teeth because they do it in their sleep. Several factors are believed to cause teeth grinding, including stress, sleeping problems, snoring, and different lifestyle factors. Teeth grinding, also known as bruxism, can damage or even fracture your teeth and lead to other uncomfortable side effects. Mouthguards are used to prevent damage to the teeth, tongue, jaw, and cheek lining during contact sports, but a night guard is specially designed for wearing while sleeping. A night guard is made of pliable plastic and can alleviate the pain caused by grinding your teeth at night. It also prevents future chipping and cracking of teeth because it prevents the teeth from touching. Have one custom-made to fit the shape of your teeth and to provide optimal protection and relief. 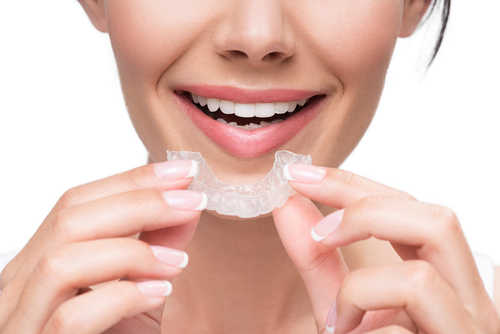 For more information about bruxism or to schedule an appointment to obtain your custom night guard, please call (610) 746-0488 today.